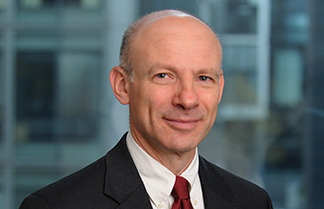 Stephen Petri was appointed the EBRD's Deputy General Counsel in 2010. A senior member of the management of the Office of General Counsel (OGC), Mr Petri manages four teams of banking operations lawyers, including four lawyers based in Moscow and a team focusing on EBRD operations in the SEMED region. He regularly participates in Operations Committee and Operations Committee Secretariat meetings. Mr Petri joined the EBRD in January 1993, previously serving as Chief Counsel and Assistant General Counsel. Before joining the EBRD, Mr Petri practiced law with private firms in Washington DC, Budapest, Hungary and at the Export-Import Bank of the United States. He is a member of the District of Columbia bar. Mr Petri has a BA degree at Amherst College and a JD degree at Harvard Law School. He also studied at the Institut d’Etudes Politiques de Paris, the College of Europe and Leningrad State University.